I love having fun in the garden, whether that’s lounging about soaking up the sun, tending to my flowers or playing with Falcon, but one of my favourite things is to entertain. 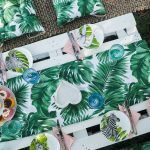 I love having people over for a spot of lunch al fresco in the summertime, and I was grateful to our mini heatwave as it coincided with my garden delivery of cushions from Dekoria for my tropical safari picnic set-up. 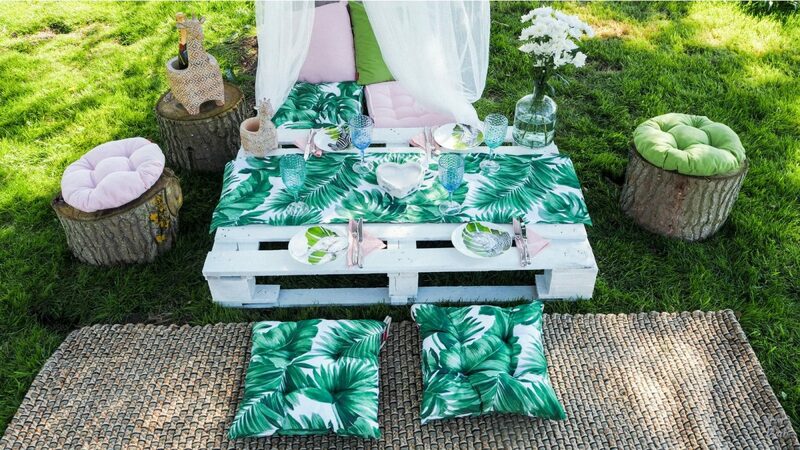 After sharing last week some inspiration to enjoy your garden this summer, I thought I would showcase one of my easy-to-achieve statement Pinterest-worthy garden picnics, no matter what your style, and you don’t even need to buy a fancy garden furniture set!!! 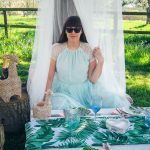 That’s what I love about picnics, you can do it nearly anywhere, and you can make it as elaborate or as simple as you want, but when the sun is shining I always like to go big, and that’s what inspired my garden safari themed afternoon tea picnic. You guys know how much I love a picnic, one of my prized possession is the gorgeous wicker picnic basket we got as a wedding present, we’ve used it so many times, but I’ve always wanted a spot in the garden where I can create a little sanctuary, so when Dekoria got in touch about styling up some of their textiles for the garden, I jumped at the chance, especially when I spotted their Urban Jungle palm leaves collection, as it was just perfect for my botanical safari under the my favourite tree. What I love about Dekoria, other than the amazing quality of their fabrics and cushions, has to be the choice on offer, as well as their made-to-measure service. 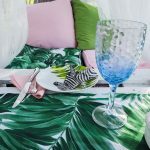 So, whether you are after county garden florals, bold and colourful, stars and stripes, or garden Provence theme, I bet you will find a fabric to suit. 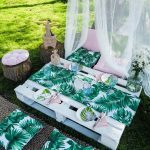 Then comes the options – from floor cushions to various seat pads with ties, round cushions, beanbags, table runners, table clothes and even napkins, and that’s just for outdoors. If you are taking the theme indoors, maybe to a summer room or conservatory they also do curtains, blinds and chair covers. Need a little convincing about quality and colour – they even do a free swatch service so you can match up your new style perfectly. 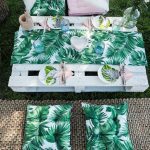 For my garden makeover, I went for a mixture of Dekoria’s Urban Jungle – Fabric 141-71 Palm Print cushions in a mixture of Kuba floor cushions and Jacek seat pads, mixed in with some coordinated block colours of pale pink (fabric 133-36) and light green (fabric 136-37) in Adam round seat pads, Kuba floor cushions and Kinga cushion covers, and to tie in the theme together I went for a palm print table runner, which looked perfect on my upcycled pallet table. 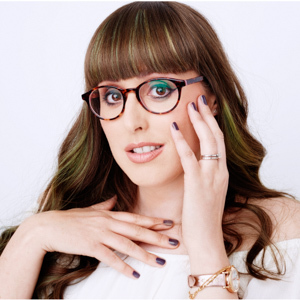 I just really loved how the bold print is softened with the pink, white and light green hues, as well as the rustic nature of the setting, the tree stump seats and the jute rug I picked up from Aldi. Then to give the picnic a little personality I went for these cute animal plates, the adorable giraffe planters I spotted at the Sainsbury’s press day, don’t you think they make excellent champagne holders, and some ombre coloured plastic goblets that were a find in B&M, which all added to the magic of the picnic under the mosquito net. The best bit about these cushions is that I made sure that they also fitted my outdoor furniture so I can use them around the normal table as well, but I do just love creating cosy little corners of cushions piled high to relax on in the garden and their floor cushions really are so comfortable. Once you have the decor all sorted then all you have to do is think about the food, on this occasion, I did an afternoon tea, think mini sandwiches, cupcakes galore, homemade lemonade, oodles of tea and scones topped with clotted cream and jam – it was fabulous. 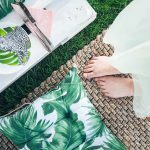 What theme would you go for your summertime picnic? For more Pinterest-worthy picnic ideas head over to my Picnic board.